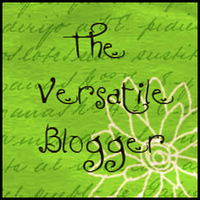 Greetings fellow bloggers, my name is Lisa and I felt the need to take the plunge and start to write. So far it has been a wonderful, co-pay free source of therapy for me and hopefully for some of you as well. Enjoy the ride! You are welcome! I love your Blog and know exactly how you felt about that salad..it’s so personal. Fun blog. I couldn’t find the subscribe button. If you don’t have one, you should! How do you do that and why is it a good thing? I am very new to the Blog world. It’s a good thing because it allows people to sign up to get an email each time you post. That way you will get a group of dedicated readers. Otherwise, people have to remember to check your site for new posts. (You signed up to follow my blog.) To set up you go to your site stats, appearance, widgets and drag the “follow blog” widget over to the right side where the actives ones are. You can change the words if you want. You would do that the same way you did for archives, recent posts, etc. which already have. If you have questions contact me at kcrimmins@rcn.com. Good luck. I’m so glad you got into blogging. You are a nice addition to our blogging world. Thanks for stopping by my site. Thank you..right back at ya! loved what I have read so far. look forward to reading more, thanks for posting! Love your use of photos, gave me a big smile. Thank you! I love hunting for the perfect photos. Thank you! I’m really starting to love my Freak Flag. Hi LWTD!!! 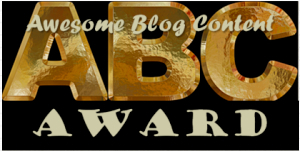 I love your blog and have nominated you for several awards! Please don’t feel obligated to participate – just know that you are appreciated. Here’s the post: http://newsofthetimes.org/2012/08/28/tuesday-tunes-ramble-on-and-awards-galore/ Keep up the great work! Hello! found you via susie’s party – love your words! 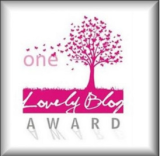 Enjoying your blog! So glad to have found it. Love your writing voice. I too find much therapeutic solace in writing out even my most vulnerable revelations on a blog. You are a gem! Want to say thanks for ambling over to Blog o’ Funny Names for foodforfun’s Gesine B-P post. Love what I’m finding here 🙂 Co-pay free therapy is the way to go, yes. I LOVE the Funny Names blog. I’m always learning something over there, without the pressure of a classroom. Thanks for the enlightenment. Lisa, Susannah, The Thin Girl, told me you voted in the Bark contest that Pet’s Inc is a finalist. Thank you! It means a lot to me…and to Pet’s Inc.
I’ll be voting every day. Good Luck on your quest! Thank you! Right now we are #10 up from #15 a few days ago. Hi Lisa! I used to have a blog called The Bradlands. I stopped writing and reading blogs about a year ago. But I’m back. And I’m glad to see you’re still going strong! Hey Brad! Glad to see you back…whoot! Why thank you and thanks for stopping by! 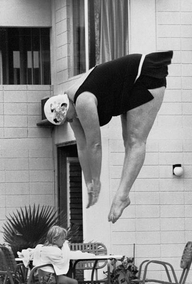 Awesome swan dive. Where can I get a cap like that? Hahaha…probably in a thrift store! Thanks for stopping by from the Stuphblog Feature today and following. I appreciate it and I look forward to reading more of you as well! Glad you made the plunge! How’s the water?? ?